Jovica Acin (b. 1946, Serbia), a short-story writer and essayist, is the author of twenty books. Several times he was sentenced because of dissenting opinion and so-called insult against the head of state. 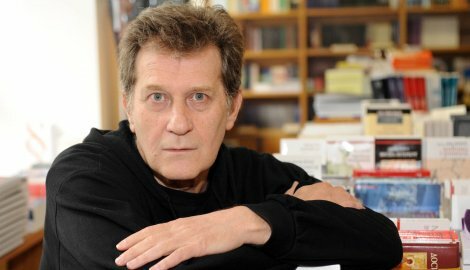 In hard and oppressive Yugoslav times he was the editor of the books such as The Gulag Archipelago by Alexander Solzhenitsyn and likely one of the best Memoirs of the Yugoslav camp called The Desert Island, by Dragoljub Jovanovic. For the moment, he lives in Belgrade, Serbia. Good to know: Acin’s original artistic impulse was to be an alchemist. Before he was a published writer, Acin’s only other jobs were in bookstores and publish­ing houses. His first bookstore job was at age 13.